Save Event: Charade: Be the Network! Share Charade: Be the Network! Imagine every book, film, play or song is about to be destroyed, every news story, television and radio programme about to be erased. What would you save? 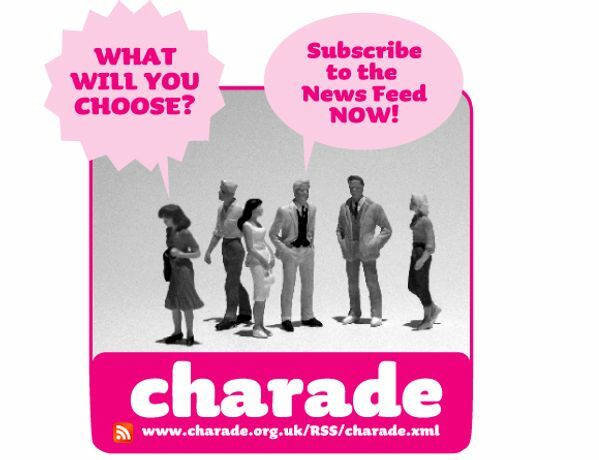 Simon Pope invites you to join the Charade network and attempt to commit your chosen item to memory, be it a film scene, a famous speech, a song, a poem ... Inspired by Fahrenheit 451, Charade imagines a future where our most treasured items from the media are under threat of destruction and is a large-scale attempt to commit culture to memory. When forced to rely on our own memories and bodies for storage and retrieval, how would our relationship to these artefacts change? What new forms of ownership and distribution might emerge? Want to be part of Charade? The Call for Volunteers is still open.